The Notre Dame Cathedral (Paris) located on heart of Paris. It is one of Paris top attractions. 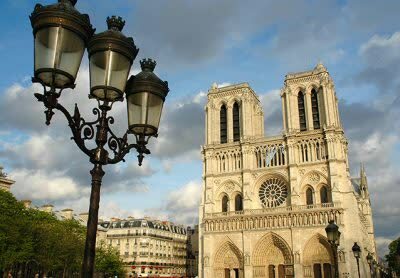 The Notre Dame Cathedral Paris is not only a Gothic architecture masterpiece but a site which was also the focus of Catholic Paris for 700 years. Although the cathedral is not France’s oldest or largest cathedral, it has very little completion in beauty and architectural harmony. The Notra Dame cathedral is practically huge, The interior alone is 425 foot long, 150 foot wide and 115 foot high. It can practically host 5000 worshippers at a given pray. Some if its exceptional structures include the spectacular rose windows. Pay special notice to the 30 foot wide one rising above the huge pipe organ. Also notice the beautiful window to the north, which has remained untouched for the last 700 years! Although its stunning interior, you may feel that for the Notre Dame Cathedral, Paris makes it more interesting from the outside.